We were greeted with cold towels and water on arrival before being ushered to our couple’s treatment room. It was grand with a bathtub as a centrepiece and views to garden greenery. Our session began with a footbath utilizing a trio of peppermint products (salt, scrub and gel) in warm frangipani adorned water. 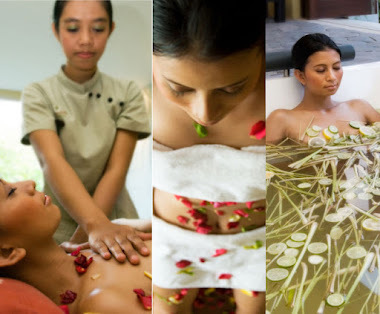 Massage is always a good bet in Bali so we signed up for two distinctly different styles. The Symmetry (IDR380 for 60 minutes) massage routine uses long strokes and promises to provide a holistic approach to balance the body. It’s reportedly good for chronic muscle aches and pains. The therapist literally used the spine as a line of symmetry. First working the back left side of my body from shoulder to toe and then the right side. Flipping over, the same was repeated on my front. The oil used was quite viscous, ensuring a velvety smooth application so the masseuse’s hands glided over my skin. I enjoyed the variation in sequence and would choose this technique on alternating sessions if given the choice. 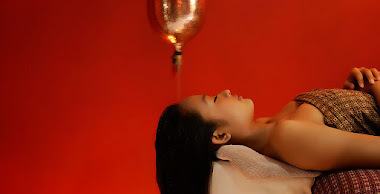 The Sports Massage (IDR380 for 60 minutes) was hubby’s picking and is designed to relieve specific areas of congestion, loosen muscle tissue, release toxins and increase blood and oxygen circulation. A variety of deep tissue kneading and stretching proved to relieve his stiffness and soreness. Ginger tea ended our lovely time together at the Spa at Pepper’s Sentosa Seminyak, however hubby continued with a session (60 minutes IDR620) by consultant healer, Meli. Meli is both a Theta Healing and Reiki Master, however coming from a long line of healers and with much international experience, she has developed her own practices for healing combining the wisdom of a number of philosophies as well as drawing from her rich family background. Meli describes what she does as having a “focus on clearing past hurts, limiting beliefs and conditioning to enable overcoming fear, anger and resentments that block us from achieving the growth and advancement required to reach our goals.” Hubby reports that after the session he felt hopeful, realigned and reenergized. 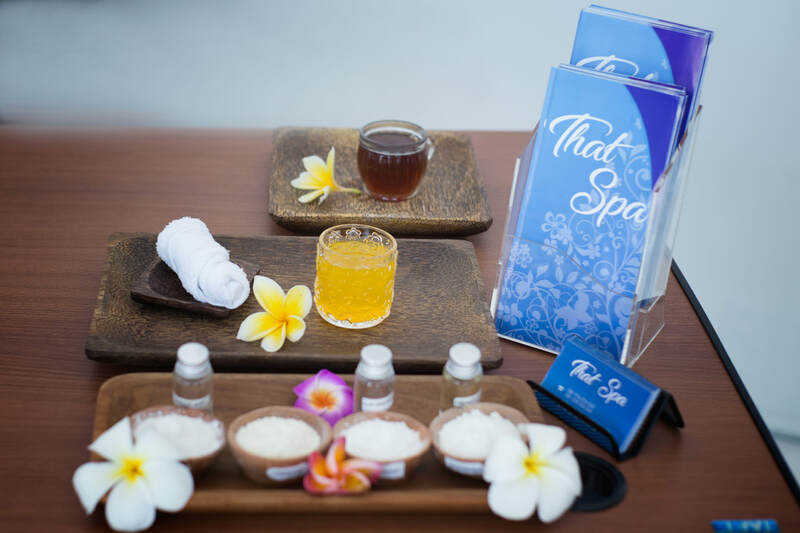 From the sample of treatments we experienced, it seems that the Spa at Pepper’s Sentosa Seminyak is suitable for a variety of clients, from those who’d like a simple massage, to those who’d like help with a complete lifestyle change. The surrounds are beautiful, the staff well trained and the location is convenient for anyone staying in the Seminyak area. Reason to visit: stylish contemporary setting; spacious rooms; good variety of treatments with outsourcing of services to provide a comprehensive spa menu.